Posted August 5th, 2014 by TheGolfersClub & filed under Blog, Competitions, Reviews. Editorial provided by National Club Golfer. TaylorMade launched the Tour Preferred wedges earlier this year which combine timeless shaping and performance to meet the demands of the world’s best players. TaylorMade sought the input of PGA Tour players as well as renowned club designer Clay Long to artfully craft the TP wedges. The first sole option is a new Classic Grind for the player who prefers a clean, classically designed wedge with a very traditional shape. 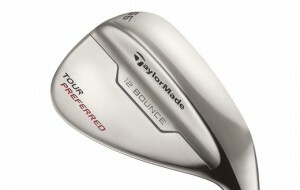 This model is offered in lofts of 50, 52, 54, 56, 58 and 60 degrees with Tour-proven bounce options. The design is clean with slight progressive camber (more in the higher lofts) and generous heel relief. The heel relief allows for the versatility of a C-grind on open-faced shots but retains the main sole surface for better performance on full swings and shots from the bunker. The new ATV Grind boasts a reshaped sole that’s slightly narrower. This allows better performance on open-faced shots and on tight lies. The ATV Grind promotes less bounce on full shots, chip shots and out of the sand, whilst maintaining higher bounce on open-face shots that are crucial around the green. The ATV grind will be available in lofts of 54, 56, 58 and 60. “We dedicated three years to meticulously dialing in all shapes and dimensions,” said Tomo Bystedt, TaylorMade’s director of wedges. 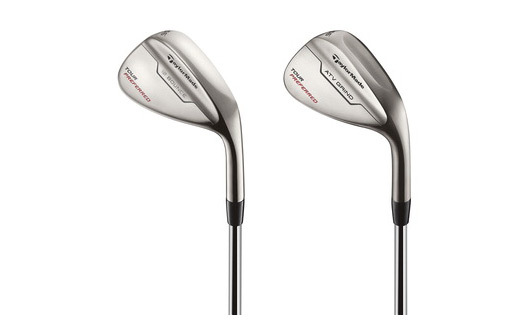 The week after Tour Preferred Wedges were introduced on the PGA Tour, 25 were in play at the 2014 Valero Texas Open. Players who elected to put the new wedges in the bag included two-time US Open Champion Retief Goosen, Camilo Villegas, Sean O’Hair and Carl Pettersson. NCG VERDICT – One of the best TaylorMade wedges we have ever tested. Really consistent spin rates and the finish looks superb. Q: One week after the Tour Preferred Wedge was introduced on the PGA Tour, how many were in play at the 2014 Valero Texas Open?